Food insecurity — the inability to access enough nutritious, affordable food — is an even bigger problem than we think, Jino Distasio writes. Food insecurity — the inability to access enough nutritious, affordable food — is an even bigger problem than we think. Canadian households are paying more for a nutritious basket of food, with rising prices hitting low-income households hardest — especially those receiving government assistance. 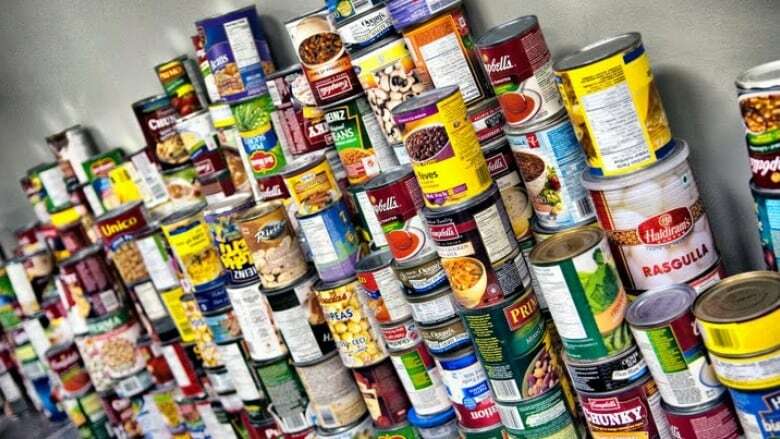 Food Banks Canada estimates more than 850,000 Canadians use a food bank on a monthly basis. The ability to afford food is becoming increasingly problematic, with average prices running as high as $900 a month for a family of four in major cities like Vancouver and Toronto. This increased cost, along with escalating housing prices and stagnant incomes, has certainly contributed to rising food bank use. Simple access to food also remains a problem in Canada, especially in areas of poverty where an overreliance on convenience stores often results in higher prices, fewer options and poorer diets. Studies over the last several years have revealed that several major Canadian cities have food deserts that make accessing nutritious food difficult. The term food desert describes geographic areas with limited access to healthy food because the distance to the nearest supermarket is more than one kilometre. Living far from healthier options forces many Canadians to fall back on higher priced convenience stores or find ways to get to food stores elsewhere. Both options are costly. But it turns out locating poor food environments is more complex than just identifying food deserts. Food deserts don't include areas of the country where nutritious options are nearby but poverty prevents people from being able to make better choices. My colleagues and I at the University of Winnipeg's Institute of Urban Studies developed a more realistic measure of food insecurity — and the results are troubling. In our model, along with distance and access to food options, we include socio-economic measures such as the percentage of the labour force that does not drive, the unemployment rate and income and education levels. This approach ensures a more fulsome picture of food insecurity at the neighbourhood level — and the picture is not pretty. In Winnipeg, for example, we calculated a neighbourhood's physical and economic access to healthy food by mapping those areas with no access to supermarkets — the traditional measure of food deserts. But we found that while distance remains a barrier in certain areas, income and affordability present bigger obstacles. In other words, many Canadian families experience food insecurity because they can't afford food, not because they can't find a place to buy it near them. We identified, mapped and classified food mirages instead. Food mirages are places where people live near a healthy food source but are unable to buy it due to cost. Our new method of calculation allows us to recognize those truly at risk of food insecurity. In the inner city of Winnipeg, 60,000 people live in neighbourhoods defined as severe food mirages where significant socio-economic hardship may affect their ability to afford healthy food despite good proximity to supermarkets. It also helps us eliminate neighbourhoods with affluent residents who have the means to purchase food whether it is nearby or not; they are not really food deserts and do not present a significant concern. Why is this finding significant? Simply having policies to encourage more grocery stores in urban areas will not necessarily solve food insecurity issues. Instead, we need to shift our thinking toward measures that support income growth, such as increased educational options or job training. There are no shortcuts. Ending food insecurity means lifting people out of poverty. In the end, while many cities have food deserts that limit healthier choices by distance, our study has added to the discussion by demonstrating that the presence of food is only one factor. As it turns out, far too many live close enough to see through the windows of grocery stores but are forced to walk by, en route to the nearest food bank. ​Jino Distasio is an expert advisor with EvidenceNetwork.ca, an associate professor of geography at the University of Winnipeg and director of the Institute of Urban Studies at the university.